Auric the Great is a hero of legends. Strong, handsome, brave ... everything except punctual. 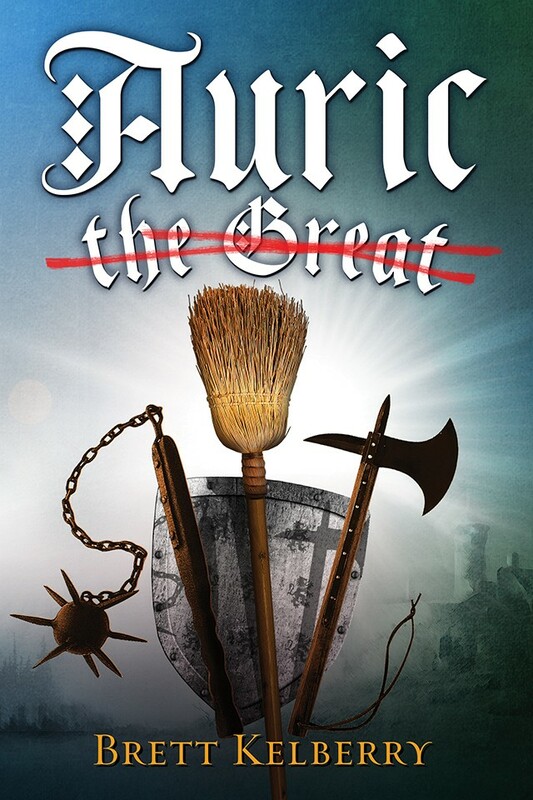 When he fails to show up for his quest, it is up to a scheming history wizard, a blind bard, and a replacement Auric – the broom- toting store clerk – to finagle their way through the predestined adventure in his behalf. What could possibly go wrong? What I loved about Alexandre design was he read the brief and work to that. I wanted Chagall's colours and he delivered. Nothing was too hard for him. He went the extra yards and delivered a superior product. I live in a small country town with one or two designers. To think I had artists from around the world working on my project is astounding. I now have a book cover that I'm happy to show the world. Working with Alexandre was a real pleasure. The designs were original and creative and no changes, however small and picky, were too much - going out of the way to produce the perfect book cover for me. Everyone I have shown it to has been blown away!